Quotable- "Even though both sons are wrong, however, the father cares for them and invites them both back into his love and feast." This book was recommended to me last December by Kelsey Patterson. Kelsey and I were talking about summer camp at Mount Hermon. She was filling me in on the theme and direction where we would be going. It was all in broad strokes but I could tell the direction she was heading was from God. She began explaining the theme to me and I was getting more excited. 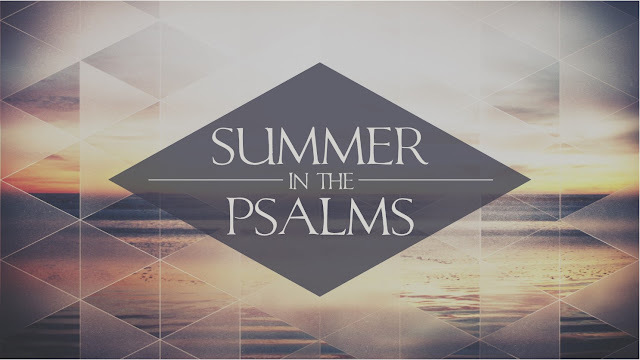 For summer we would be going through Luke 15. At this point she recommended this book to me. I picked it up and started reading it a few months later. This is a book that grabbed my attention quickly. Timothy is a wonderful writer, I wish I could say I've read more of his books but have only read a few others. His writing style is engaging and easy to track with. He doesn't preach on Luke 15 but helps the reader see how God is actually the prodigal in the story. It is God who doesn't act in the way we would expect, not the son. 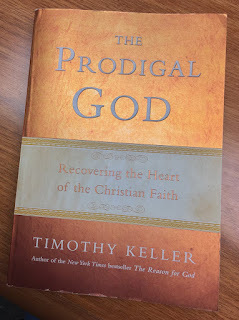 Timothy provides great insight into Middle Eastern culture to help the reader understand how amazing it is that God would run to His children. He also explains how both of the sons in Luke 15 are lost, not only the younger son. The older brother is lost too. Before I give the entire book away I invite you to read it. It's not super long but well worth the read. It will help you understand the character of God more; which I think is something we're loosing in our day and age. One of the goals in preaching is to inspire. There are people we encounter, every day, who are hopeless. There are people who feel like life doesn't matter. People who are isolated or in broken relationships. One of the joys of being a pastor is to share the hope of the Gospel of Jesus Christ. There are many fantastic pastors out there. There are men and women who share the truth of Christ in compelling ways. Just this weekend I had a lady in our church had me this note. I was stoked to see what she wrote on the front of the envelope. One area I want to impact when preaching is the mind. People are smart! Kids are smart, students are smart, people of all ages are smart. I recently spoke at Mount Hermon for a summer camp. During one of my sermons I told students that I think they are smart. Too ofter their friends are telling them they are dumb. They have a sibling who is saying: "you don't understand this." They may even have a parent who insults their intelligence. When we tell people they are smart they start to believe they are smart. When preaching never talk down to people but call them to something greater. Speak in a way they understand and a way that engages their mind. Know your audience and use words that will appropriately challenge their thinking and engage their mind. 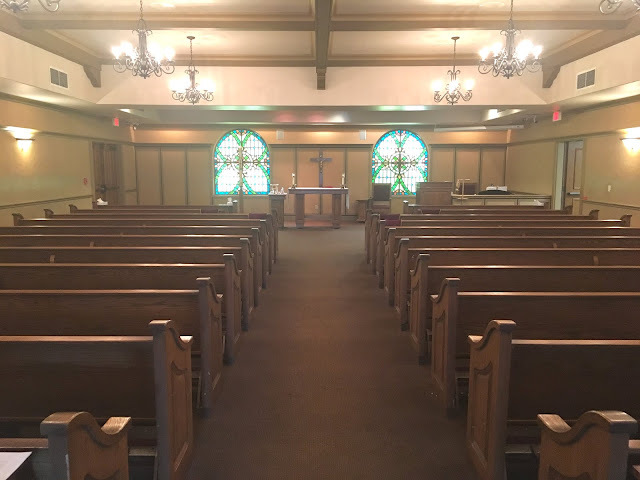 I've found that sometimes we expect people to check their brain at the door of the church and only use their heart; this is a practice that needs to change. We want people to think critically about the truth of God. Our minds need to be stimulated. Preach in such a way to engage the mind. Make people think! Preach to their intellect and show them the truth of God. The next time you're writing a sermon think of ways to challenge people's thinking. I don't mean challenge in a defensive way, but in a way that requires them to think critically about God's word. It could be what you say, but it could also be how you say something. There are times I've intentionally said something in a confusing way to make sure people are listening. In addition to preaching to the head it's important to grab the heart. When you're communicating you want to grab the hearts of the people. There are times I've done this by sharing a story that evokes emotion. It's a story that calls on the compassionate side each person has. For example, there was a sermon I preached from the Old Testament about caring for orphans. Most people agree that we need to care for orphans. But to grab the heart I shared a clip from the Blind Side. Show a clip like this to appeal to someone's heart. I'm not saying show a clip like this to abuse a person's emotion. A clip like this can impact a person in a unique way. You can also tell a story about a time you experienced an emotional time. Don't be afraid to be vulnerable in your stories and share about times where you feel like you've failed. People can relate to that. Knowing we are multifaceted people means we need to preach multifaceted sermons. It's good to engage the heart in addition to the head. Engage both in creative ways that are meaningful to your audience and appropriate to their age and stage of life. The final part of a person a great sermon will engage is the hands. The hands are when the sermon calls us to action. You might have a sermon that talks about helping the poor but if you never give people a chance to help the poor that is a miss. You may preach a sermon about missions but not everyone can go on a mission trip so how will engage the hands? One of the most impactful ways I've seen this done is in the context of sharing the truth of Christ with a person in your life. I've met many of people who have been invited to church by a friend. When the text your preaching has a clear call to reach people who are far from God (Think of Luke 15) you can think of ways to engage the hands of people. Talk about inviting your neighbor, co-worker or friend to church with you. Your church might even want to have a special service in the following weeks where everyone is encouraged to invite a friend. But it's not only with evangelism, missions or serving the poor. A call to action could come from a sermon on giving. The last I heard was that the average America spends 127% of their income. Let that figure sit in for a minute. To help a person be a generous giver means a lot of work needs to be done. Some people need to put their hands to work in changing their budget. Some fathers need to become more engaged with their families. Some single people need to keep their hands to themselves and put them on the Bible more! When we think about sermons that bring hope we can know it will include these three areas. Sermons that bring engage the head, heart and hands. Last week I had the joy of being at Mount Hermon. 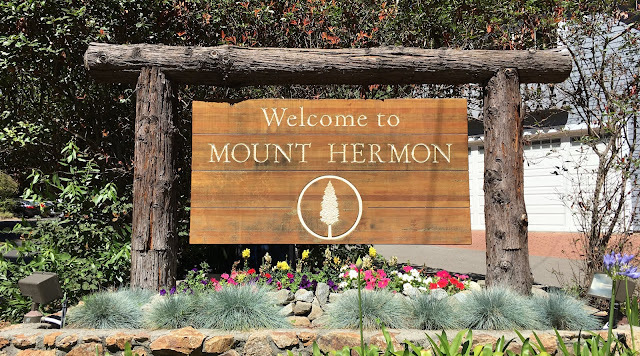 Mount Hermon is a wonderful camp in the Santa Cruz Mountains. The location is beautiful, the staff is awesome and it’s a place where God is at work. For the week I was speaking at Pondy we taught on Luke 15. The theme was awesome and you can see some of it here. While at Mount Hermon there are two days where students can sign up for different activities. Some of these include: jazzercise, laser tag, high ropes, pool time or Q&A with the speaker. In the past I’ve been a part of this but had only a handful of students show up. This year I had close to forty students involved in both days (Tuesday had a higher attendance than Thursday). This question came up in both sessions. I took the time to talk through each of my tattoos and the meaning. I pointed out the handprint tattoos for my kids. I showed the heart tattoo for my wife. I talked about the significance of having Isaiah 52:7 on my feet and more. I love Peter. I love how Peter follows Jesus that day on the shore. I love the questions he asks. I also love how he denies Jesus, is restored on the same shore where he was called and then becomes of the main leaders of the early church. I can relate to Peter and his passion. I can relate to coming to Christ at an early age and following Him. What is your favorite story in the Bible; Old Testament and New Testament? My favorite Old Testament story: I went with two. I love the story of Joseph. There is so much redemption and forgiveness in there. I also love the story of Shadrach, Meshach and Abednigo. I love how these guys stand for God in the face of death. In the New Testament I love the story of Peter walking on the water. He is freaked out when he sees Jesus walking on the water, in the storm, and then asks Jesus to call him out on the water. Peter is walking on water until he sees the wind. I shared how things in our life go great until we take our eyes off the Lord. This was the first Bible verse I memorized after fully surrendering my life to Christ. It reminds me that no matter what is happening that God is for me! If you could be stuck in a movie what movie would it be? I went with Frozen. I wanted to go with Talledaga Nights but figured there was no chance I could snowboard in that movie. How did you choose your children’s names? We went with Sophie because it means wisdom. Isaiah is Charity’s favorite male name. She always wanted to name her son this. All of the names are Biblical. Sophie is in the Greek Bible while Leah and Isaiah are both Old Testament names. This is just a sample of what came my way. Overall it was a great success and time with the students. Obviously some students had more questions than others but I think it helped them to get to know me more. Just over a week ago we had a memorial service for my dad. My sister and I arrived early. We walked in around 9am to greet my dad's wife. The three of us entered the room first. As we turned the corner there was his casket. It was open. He was smiling. I want to forget the image because I like to remember him living and not laying down. Many times that day I wished I would see him take a breath. That never happened. As the morning moved to afternoon we moved to the memorial service. It was a Catholic Mass. Although I'm not sure my dad ever went to a Catholic Mass, this was the service that was chosen. I declined to officiate the service knowing I needed to grieve the loss. But I did request to say some words at the service. I knew I would be the only one who would speak as a person who knew my father. I knew him for 37 years and 6 months. To be more precise it was 13,710 days that my dad knew me. I was his only son, the one that will carry on his name. Here are the words that I wrote to say at his funeral. I added some to them but am deciding to only post what I had written down. Hi, my name is Neal Benson and I'm Don's son. Thank you for all support. I'm going to do my best to keep it together up here. Please forgive me if I forget to say something. You're never prepared for what to say at your dad's funeral. I have three areas that came to mind that I'd like to share. First, my dad was a hard worker. He had a full-time job and keeping up his property would have been enough. But he worked hard. He woke up early and finished the tasks. When my sister and I would visit his house he would always have a list of chores for us. We thought it was crazy that we had chores at a home we lived at for 48 hours every two weeks but he did. As I look back I see what my dad was teaching me. He modeled hard work to me and I'm going to miss that. My dad has amazing friends! They would play basketball together, go on trips together, they even worked together. Sometimes they might even have a beer together. My dad did the best he could with family. When we were young we would constantly see our family. He took us to Tahoe to see his brother Jim. We would go to Oregon and see our grandparents. We'd meet with my uncle, aunt and cousins in Big Bear. We spent time in Palm Springs. Near the end he asked for my family to come visit. He spoke such love to my family. He laughed with my kids, made faces, smiled and told them he loved them. My dad taught me about hard work, friends and family. I'm blessed he was my dad. Next time you're wearing a trucker hat, working hard, playing ball or drinking a beer; think of my dad and what a wonderful man he was!